With summer finally here, less people will be entering your office with injured backs from shoveling snow, slipping on ice or other winter activities. However, millions of Americans are dusting off their golf clubs and hitting the links, a location that is teeming with back pain and potential patients. There are some 25 million golfers in America. A significant percentage of them suffer with chronic back pain. Many golfers pop aspirin and over-the-counter anti-inflammatory drugs like candy. What about chiropractic care? Surprisingly, as of 1994 the available data suggest that less than two percent of golfers chose to visit a chiropractor.1 The same source revealed that MDs and PTs treat most golfers. This information is somewhat shocking considering that back pain is the most common problem among golfers. Although the percentage of golfers who see chiropractors may be higher, it is safe to say that chiropractors have yet to make a significant dent in the golf market. A quick glance at Golf Magazine's website illustrates this fact. Their fitness section recommends many fitness experts with whom golfers should consult, the majority of which are physical therapists; none are chiropractors (see www.golfonline.com/fitness). Why golf has seemingly to overlooked chiropractic is unclear. Considering that golfers suffer mainly with spinal nociceptive pain, i.e., mechanical back pain, one would think that DCs would be the caretakers of choice. This article will discuss some of the basic mechanics of the golf swing and suggest some ways that chiropractors can access the golf market. I recently wrote an article that discussed many of the myths associated with modern golf instruction.2 One of the biggest myths involves the notion that club head speed at ball impact is dependent on maximum spinal rotation during the backswing. In this regard, the term "x-factor" has been coined to describe the difference (in degrees) between hip position and shoulder position at the top of the backswing. Many instructors advocate this theory and recommend that golfers keep their pelvis as stationary as possible while the spine is maximally rotated. These swing positions are popular because it is believed that maximal spinal rotation somehow engages the "big" muscles of the back, allowing for a sling-shot effect during the downswing, i.e., the modern golf theory of power generation. The true source of power generation in the golf swing involves the creation of elastic energy, which is thought to be the power generator for most athletic maneuvers.2 Briefly stated, elastic energy is created by imparting a short, quick stretch on the muscles involved in performing a particular movement. In the case of the golf swing, it is generally thought that the rotator cuff, latissimus dorsi and pectoralis major muscles are the "power muscles,"2 as well as the muscles of the arm and forearm. To effectively pre-stretch these muscles, no spinal rotation is needed. A short swing with less spinal rotation gives a golfer more control of the golf club and club head throughout the swing, which translates into better control of the golf ball. A short backswing will help to minimize the torsional stress in the lumbar spine. Watkins explains that golfers should keep their shoulders and pelvis parallel to each other throughout the majority of the golf swing. He calls this rigid parallelization, the loss of which can generate rotational strain in the lumbar spine.5 With this information in mind, you can imagine how stressful and injurious the golf swing can be when golfers try to achieve a large x-factor. This swing method is dangerous and should be abandoned. As previously alluded to, an aggressive lumbar spine rehabilitation program should be instituted as both a therapeutic and preventive measure. The golf swing is inherently stressful and injurious to the lumbar spine. Thus, it is very important to make sure the lumbar spine's stabilization mechanism is well- trained. Treating golfers without taking this into consideration can lead to reinjury and dependence on passive care. Research has recently demonstrated that lumbar stabilization exercises can reduce pain and disability in patients with spinal instability caused by spondylolysis and spondylolisthesis.6 McGill has recently discussed the stabilizing exercises that impart the least amount of stress on the lumbar spine, which included the cat stretch, curl-ups, isometric horizontal side support, and the quadruped track of exercises.7 These exercises will also help golfers develop the rigid abdominal control needed to maintain pelvis and shoulder parallelization during the swing to reduce torsional strain. Very few golfers hit the fairways armed with the modest amount of information presented in this article. 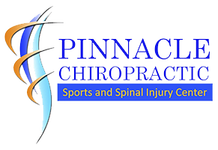 Even if you do not play golf, that should not stop you from engaging the golf market, as golfers desperately need the services provided by chiropractors. McCarroll JR, Mallon WJ. Epidemiology of golf injuries. In: Stover CN, et al. eds. Feeling up to Par: Medicine from Tee to Green. Philadelphia: FA Davis; 1994: p.9-13. Seaman DS. Back pain in golfers: etiology and prevention. J Sports Chiro Rehab 1998; 12(2):45-54. Macintosh JE, Bogduk N. The axial torque of the lumbar back muscles: torsion strength of the back muscles. Aust N A J Surg1993; 63(3):205-12. Cramer GD, Darby SA. Basic and Clinical Anatomy of the Spine, Spinal Cord and ANS. St Louis: Mosby; 1995: p.73. Watkins RG. Lumbar spine injury in the athlete. In: Liebenson C (ed.) Rehabilitation of the Spine. Baltimore: Williams & Wilkins; 1996, p.341-54. O'Sullivan PB et al. Evaluation of specific stabilizing exercise in the treatment of chronic low back pain with radiologic evidence of spondylolysis or spondylolisthesis. Spine 1997; 22:23959-67. McGill SM. Low back exercises: evidence for improving exercise regimens. Phys Ther 199; 78:754-65. Seaman DR. Clinical nutrition for pain, inflammation, and tissue healing. Hendersonville, NC: NutrAnalysis, 1998. Bucci LR. Nutrition Applied to Injury Rehabilitation and Sports Medicine. Boca Raton: CRC Press, 1995.